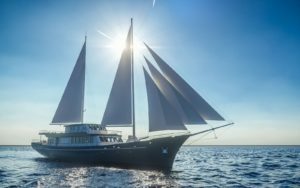 Croatia sailing yacht charter CORSARIO – ready for charters in Croatia from the beginning of June 2019. Corsario was designed to provide luxury, elegance and above all adventure through Adriatic Sea in the best possible way. Its’ mix of traditional tall ship exterior and modern interior makes it one of kind. 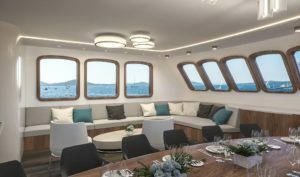 Corsario was project of two brothers who were dreaming of building a yacht that would fit their image of what cruising experience should be like. Love for nautical tourism, dedication to providing great service through years and vision that people who work for them are the most important segment of their business, helped them come to realization of this project. Croatia sailing yacht charter Corsario guarantees modern luxury with traditional scent. Its’ stunning cabins, numerous amenities, extraordinary chef and highly professional and welcoming crew will fulfill every client’s wishes.